Stromquist & Company Celebrates National Small Business Week and Unveils the New Stromquist Website. 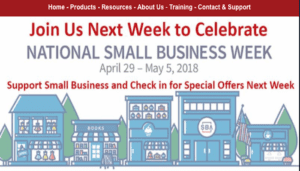 Every year since 1963, the President has issued a proclamation announcing National Small Business Week, which recognizes the critical contributions of America’s entrepreneurs and small business owners. Stromquist was established in 1951 as a wholesale HVAC controls distributor. The business has grown significantly since then, but it has remained a family-owned company, proud to be a Small Business. Jackson Control and Roger Rebennack Introduce Building Automated Security Solutions (BASS) at the 2018 Niagara Summit. 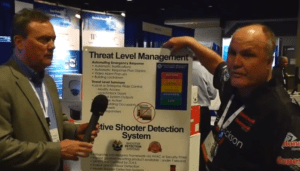 The 2018 Niagara Summit was the perfect venue for Roger Rebennack and Jackson Control to launch their Building Automated Security Solutions (BASS), a highly advanced and comprehensive Niagara security integration solution that delivers the full benefits of Threat Level Management and Shooter Detection System (sensing and alarming). Luis Melgares Introduces Neptronic’s Newest Products at the 2018 Niagara Summit. Neptronic’s Luis Melgares, VP of Sales and Marketing, updates the ControlTrends Community on Neptronic’s versatile wall mount controllers and sensors, featuring the new CMMB-IP controller. Neptronic manufacturers a variety of Multi-App controllers, able to provide stand-alone or networked control for all packaged AC RTUs, Heat Pump, Fan Coil Unit, and heating and cooling equipment applications. 2018 CGNA Synergy & Opportunities Conference — North America’s Elite Distributors Celebrate 35th Anniversary. Mike Sackett, Executive Director, Jim Hayman, Director, Business Development, and Sandie Minguez, led the CGNA Group as it reviewed and celebrated 35 years of continuous success, development, and innovation. 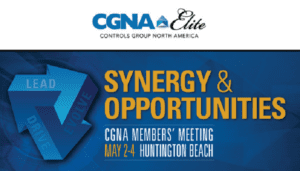 Representatives from 46 of North America’s top distributors met at the luxuriant Paséa Hotel & Spa on the Water in Huntington Beach, California, to set CGNA’s strategic direction for the future in motion. Special thanks to Chuck Niemann, of George T. Hall. 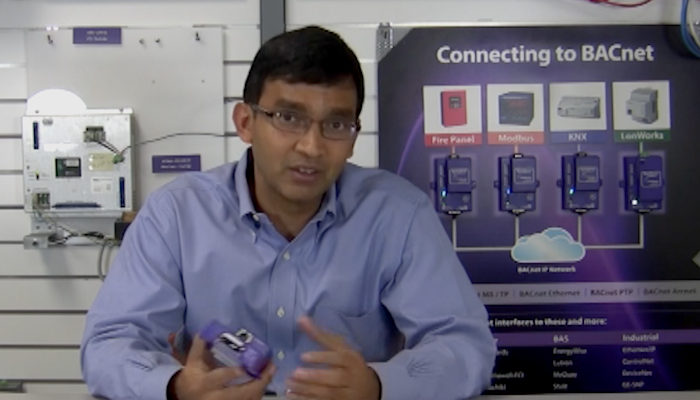 Neptronic’s Luis Melgares, VP of Sales and Marketing, updates the ControlTrends Community on Neptronic’s versatile wall mount controllers and sensors, featuring the new CMMB-IP controller. Neptronic manufacturers a variety of Multi-App controllers, able to provide stand-alone or networked control for all packaged AC RTUs, Heat Pump, Fan Coil Unit, and heating and cooling equipment applications, using a configuration set up with a greatly improved menu structure. No programming is required! Neptronic also manufactures the industry’s first Smart Duct Heater, which is networkable via BACnet and Modbus — a game-changing addition to their industry-leading portfolio of ball valves, actuators, and humidifiers. 2016 ControlTrends Awards PID Award from Eric Stromquist on Vimeo. Join all the excitement, and I do mean EXCITEMENT, as the most exciting man in the smart buildings controls industry Roger Rebennack and Mike Marston from EasyIO light up the crowd and announce this year’s PID Award winners. 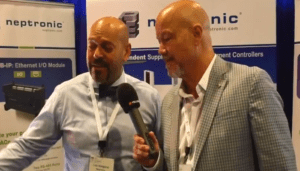 We had a chance to catch up with Biagio Delorenzio and Luis Melgares from Neptronic at the 2016 Niagara Summit. Great stuff from our innovative friends in Canada. As you can see in the video, the TUCB is a very flexible universal wall mount controller with built-in temperature sensor and scheduler. 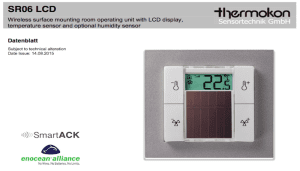 The unit is designed for simple and accurate control of a heat pump or other heating/cooling equipment. Its field configurable algorithms enable versatile implementation of required control sequences. but what is even more impressive is the new TRLG 24. The TRLG 24 takes all that is good about the TUCB and adds an on board humidity and CO2 sensor. This gives you the flexibility of using the controller as stand alone, or using 2 digital outputs from a master control to gain more I/O and control at the edge. Even better, Biagio is offering free samples through ControlTrends. Check back soon, as this order form should be on ControlTrends sometime next week! 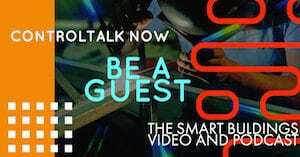 ControlTalk NOW for the week ending August 30, 2015 features guest interviews with Neptronic’s Luis Melgares and SI Consultants’ Vinayak Sane; new products from Thermokon and Functional Devices; Tridium N4 Crossover Training Video; Fred Gordy’s continued focus on Cyber Security; Sierra Monitor Corporation’s Varun Nagaraj’s Part 1 series on IIoT; and an updated ControlTrends Events Calendar. Thermokon’s Newest Products — Released in 902MHz EnOcean’s Frequency for North America. Thermokon is pleased to announce several game-changing 902 MHz EnOcean products recently added to their extensive EasySens product platform, which include these application advantages: Cost savings due to Energy Harvesting: producing energy from the sensor environment; Flexibility with sensor location – quick and easy mounting and commissioning; Reduction of fire load – no need for wires. ControlTrends Event Information Calendar Update. Global EasyIO Partner Event 2015: Paris, September 20-22! EasyIO is changing the way Building Automation is deployed, while significantly reducing installation costs. 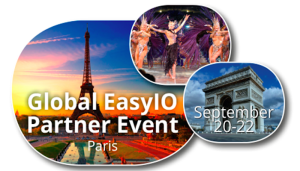 EasyIO’s global partner event will unveil awesome new products and features that will further enhance building management and energy solutions — for all building types. EasyIO has already a reputation to hold up for their amazing event programming. Product Update: The New Functional Devices EnOcean Relay. 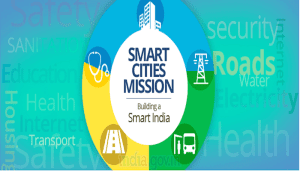 Wireless is all the rage in todays building automation and smart buildings control systems. 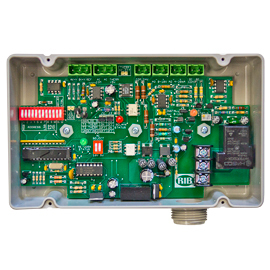 But to get the most out of your wireless system you need reliable wireless components like the EN3 EnOcean relay from Functional Devices. The EnOcean technology is an energy harvesting wireless technology used primarily in building automation systems; but is also applied to other applications in industry, transportation, logistics and smart homes. Luis Melgares, Neptronic’s Vice-President, Sales and Marketing ControlTalk NOW’s first guest interview. ControlTrends caught up with Luis while he was on the road in Western PA and WV, technical support to system integrator and developing new business. 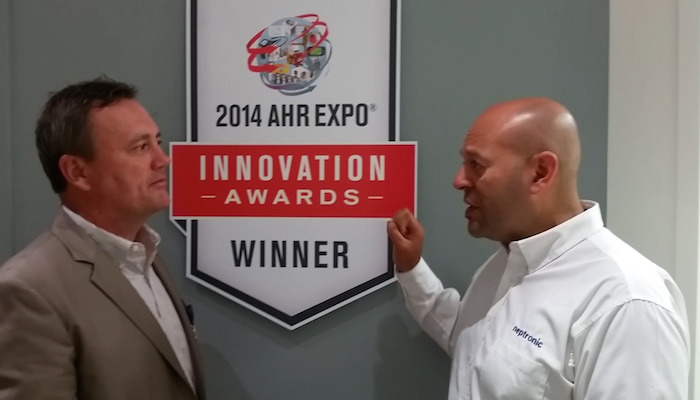 Luis gives ControlTrends the latest scoop on Neptronic’s newest hardware and software, and previews Neptronic’s next generation TUC thermostat/room controller expected to be released fourth quarter 2015 — that will definitely be on display at the 2016 AHR EXPO in Orlando. 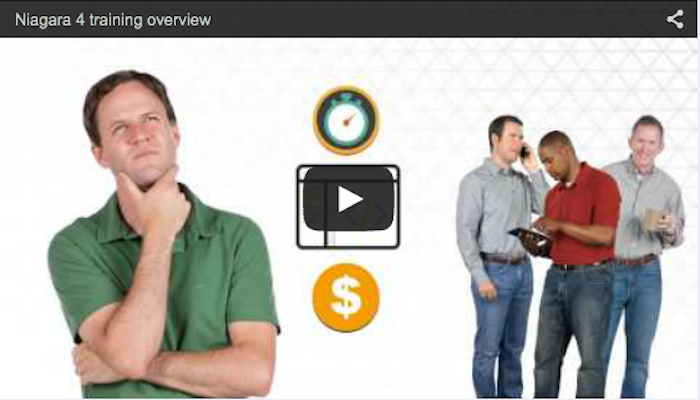 Tridium Niagara 4 Crossover Training Promo Video — World Class Technical Training for the Niagara Community. Tridium Niagara 4 Crossover Training Promo Video featuring World Class Technical Training for the Niagara Community. At Tridium, our training goals are simple; help our customers to be effective using the Niagara Framework. 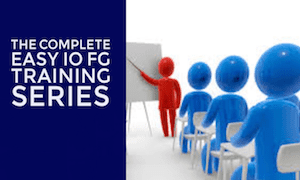 We do that by offering a variety of training classes covering the broad spectrum of Niagara-based solutions. Vinayak Sane, with SI Consulting, based in Mumbai, India is ControlTalk NOW’s second guest interview. 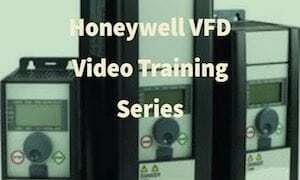 In this introductory video, we meet Vinayak and hear how he got started in the BMS/HVAC markets. 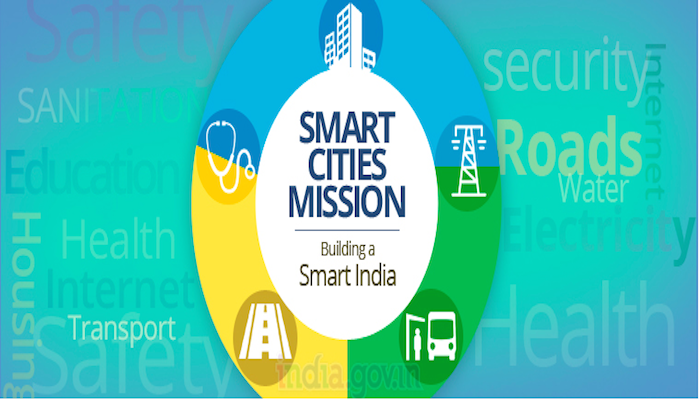 Vinayak will be providing ControlTrends with progress updates on India’s immense efforts to bring 100 Smart Cities on-line, while proving insights on the some of the primary challenges facing India’s Smart Cities Mission, Building a Smart India, from an engineer’s perspective. Practical Application for Using Shodan. Finding Devices, Protocols, Vendors, etc. Shodan’s search engine is fairly flexible and easy to use. The various lists below are what I found using a URL search like the two shown here (you must be logged in for the URL search to work). https://www.shodan.io/search?query=PDU+country%3A”US“ Notice the two bold sections of the URL string. The first is what you are looking for and the second is the country. The URL Encoded Characters for a colon are %3A. If You’re Breached, You May Be Facing Two Battles. 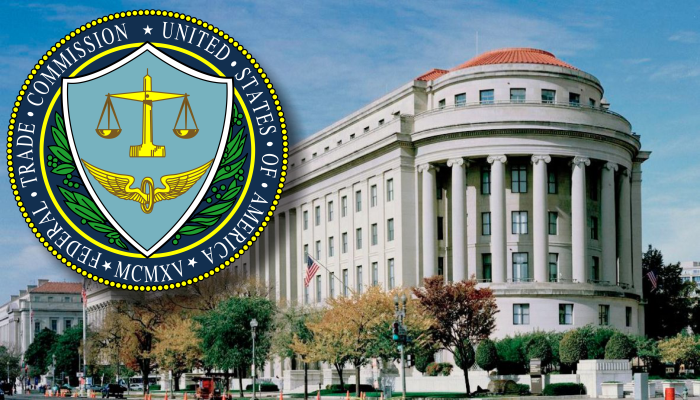 According to an arstechnica article Monday, August 24, a federal appeals court ruled that the Federal Trade Commission (FTC) can now sue a company that employs poor IT security practices. This resulted from a lawsuit that the FTC filed against the Wyndham Worldwide Corporation who suffered three breaches from 2008 to 2009. (click here to see FTC vs Wyndham) FTC Chairwoman Edith Ramierz wrote in a statement to Ars, “Today’s Third Circuit Court of Appeals decision reaffirms the FTC’s authority to hold companies accountable for failing to safeguard consumer data. 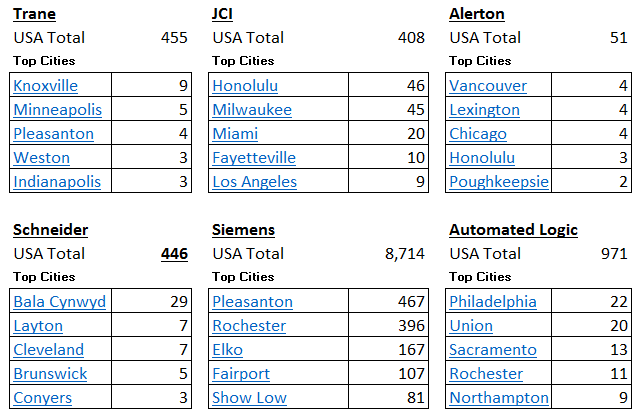 Sierra Monitor’s Varun Nagaraj: A Model to Categorize IIoT Use Cases – Part 1. There is no shortage of stories and case studies about the IIoT. In aggregate, they support the assertion that the classic Buffalo Springfield song makes: “There’s something’s happening here; what it is ain’t exactly clear”. Unfortunately, the many IIoT case studies being written up throw the phrase “cloud” around like there is no tomorrow, and all the stories begin to blur together! Personally, I find it useful to have a model that helps me categorize IIoT use cases. ControlTalk NOW thanks this week’s sponsor DGLogik–the game changer in the Internet of Things and the building automation industry leader in designing custom IoT software tools. With deep integration to multiple data providers, DGLogik’s IoT visualizations are guaranteed to help you monitor more effectively, save time and decrease costs directly translating into increased revenues. DOE Publishes Priority Enabling HVAC Technology R&D Initiatives. 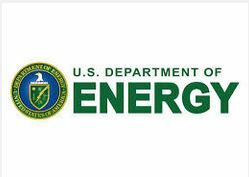 Energy Department Releases Roadmaps on HVAC Technologies, Appliances, and Low-GWP (Global Warming Potential) Refrigerants. For HVAC, BTO targets 12% and 24% primary energy savings by 2020 and 2030, respectively. The recommended initiatives in the report each target one or more R&D needs for residential and commercial HVAC technologies and related systems, such as controls, distribution systems, and design, installation, operation, and maintenance practices. 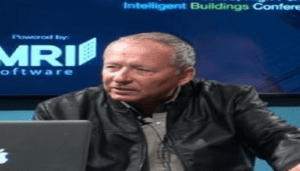 The Perfect Gift for the Control Pro that Has Everything: Just in time for the holidays, Ken Smyers, the man, the myth, the legend, discovers the perfect gift for the HVAC and Building Automation Control Pro. 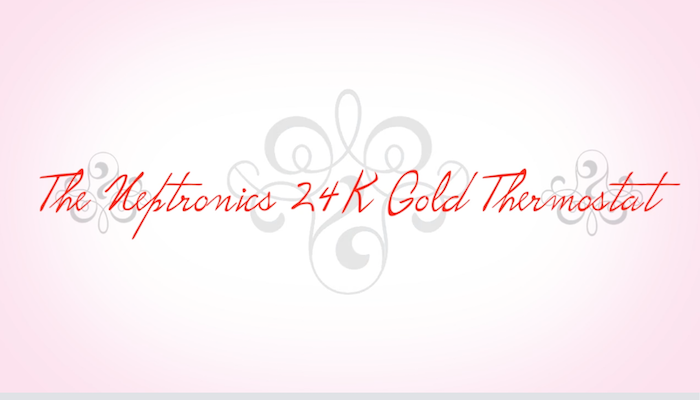 Introducing the 24 Karat Gold thermostat from Neptronic. That’s right, those innovative Canadians are at it again. In addition to providing building automation controls, energy saving equipment, and world class service, the team at Neptronic make a beautiful 24 Karat gold thermostat. 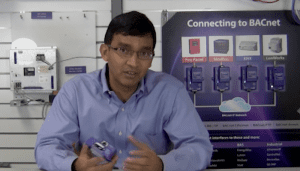 ControlTalk NOW interviews Neptronic’s Luis Melgares. 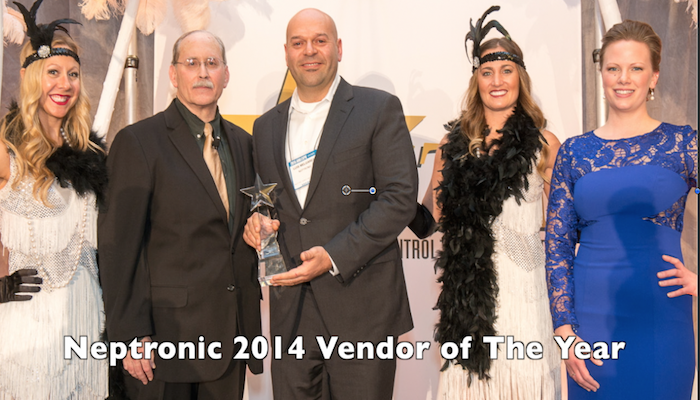 Luis has been nominated for the 2014 ControlTrends Awards’ Best Technical Support (Small Manufacturer) and the PID Award categories. Luis’ enormous breath of experience, passion for excellence, and genuine concern for his customers, make Luis one of the most recognized and respected experts in the HVAC industry. Listen in, as Luis shares his deep insights into the HVAC industry and what he feels are the Neptronic differentiators that elevate Neptronic people and products above their competitors. See Why Functional Devices is a ControlTrends Community Favorite. Why is Functional Devices such a favorite within the ControlTrends Community and a go to supplier for peripheral devices? Well we can start with the really innovative cool products like the RIB ( Relay in a Box) relay. Products made by Functional Devices are just that…functional…and price competitive….and easy to use. The PSH500A-LVC power supply fits the Functional Devices mode: it is a cost-saving, prepackaged solution for HVAC applications. 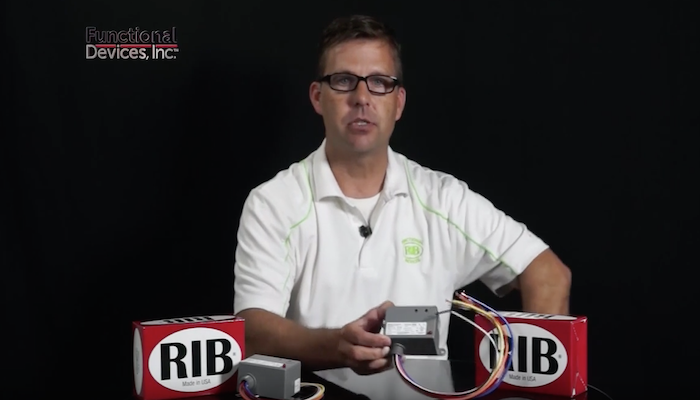 Functional Devices Introduces the RIBTW24B-BCAO Analog Output Network Device. This week Functional Devices released yet another innovative product that gives users a low cost and convenient solution loaded with features. The Enclosed BACnet® MS/TP Network Relay Device; One Binary Output (20 Amp Relay SPDT + Override); One Binary Input (Dry Contact, Class 2); One Analog Voltage Output (0-5 Vdc / 0-10 Vdc); One Analog Current Output (4-20 mA); 24 Vac/dc Power Input; Optional End of Line Resistor (EOL) Included. ACI purchased ACT’s Line of Interface Devices. ACI’s Barry Gordon Reminder — ACI purchased ACT’s Line of Interface Devices. You might already be aware that ACI purchased ACT’s line of Interface Devices a while back. They are now manufactured in the USA at our Middleton based production facility. We stock an impressive variety of Interface Devices at ACI, and they can be combined with your Temperature, RH, Pressure, Gas, or Current Sensor orders. Check Out Project Assist for DGLux5! DGLogik Training Summit, January, 2015. Project Assist for DGLux5: If you didn’t get a chance to experience the latest modern development environment of Project Assist, Check It Out Now! Download the latest version both DGLux5 and Project Assist by logging into your account through our website and checking out the “Downloads” section. DGLux5 is the most mature and sophisticated IoT Application Platform that easily enables the unification of all your data systems and multiple data providers into a singular interface. International Systems of America: ISA’s Mike Epperson has been nominated for Executive of the Year (Small Manufacturer) and it’s easy to see why! 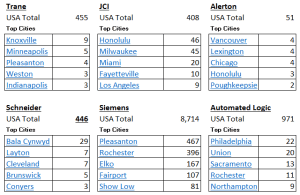 ISA is a growing solutions provider with six locations throughout the US. ISA takes great pride in their extensive product and service offerings for fire, energy, security and communication systems. And when ISA solutions come together to make a real difference for their customers –helping solve critical issues — ISA knows its focus and dedication are paying off!